Holy Baptism is the sacrament by which one becomes a Christian and a member of the Church. All ministry originates in baptism. Therefore, living out one's baptism is at the heart of our life together. 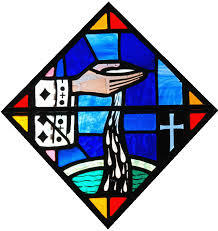 The Episcopal Church defines baptism as "full initiation by water and the Holy Spirit into Christ's Body, the Church" (Book of Common Prayer, p. 298), and recognizes as valid any baptism administered with water and in the name of the Father, the Son, and the Holy Spirit. Baptism is an event of primary significance and celebration not just for the individual but for the whole church. Baptisms are offered throughout the year on specific Sundays and preparation is offered regularly in anticipation of Baptism Sundays. Contact the Rector 860-628-8486 for more information.